Ethnic Cultural Park and with it the presentation of China's rich and diverse multi-ethnic culture has almost been integrated with the main Olympic experience of 2008. 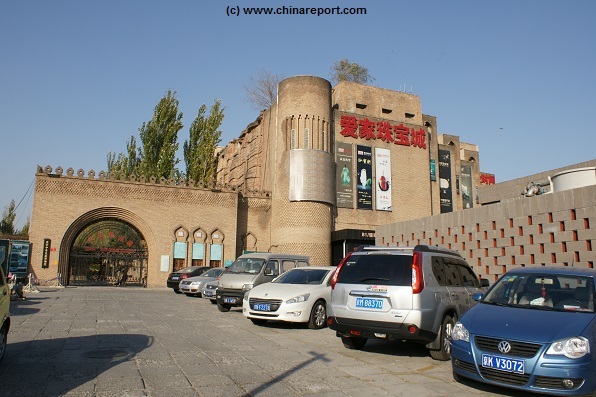 The Park is most popularly know by its abrieviation as ”Ethnic Cultural Park” but in recent years has also gone under the new name of ”Beijing Ethnic Minorities Museum Park”. 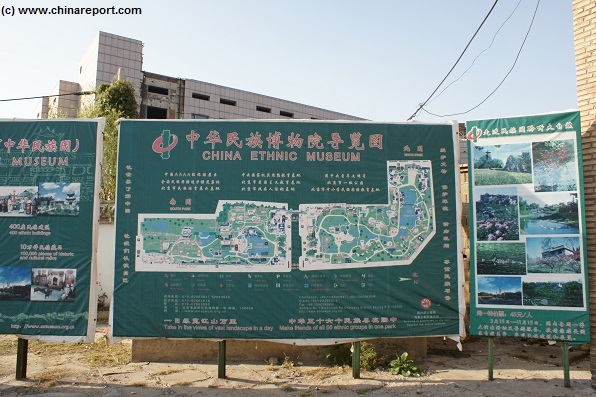 As was intended, the Ethnic Minorities Cultural Park featured prominantly in all reporting concerning the Chinese Olympics and was a well visited site before, during and for some time after these Games. However today it has lost some of its former glamour and has become a slightly redundant and a bit run down tourist attraction. 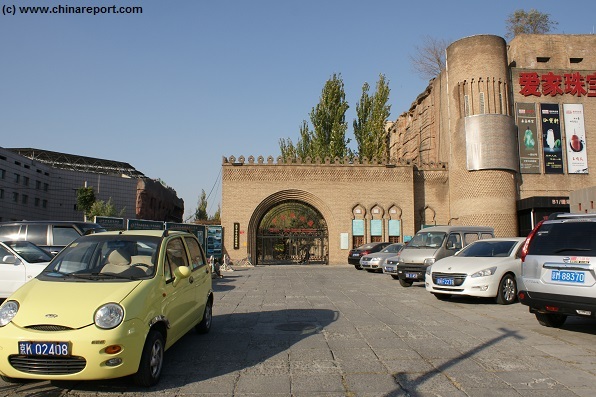 Although still interesting enough to include it into your architectural and tourist tour of north Haidian District, some of the splendid copies of ethnic architecture on display are starting to show signs of disrepair. The number of tourist visiting has dwindled and so have the number of hired ”ethnic group members” trolling about on site in what should pass for original ethnic attire. Have a walk about the Park and catch the main features, which albeit entirely faked and modern still make for some awesome sights to see. 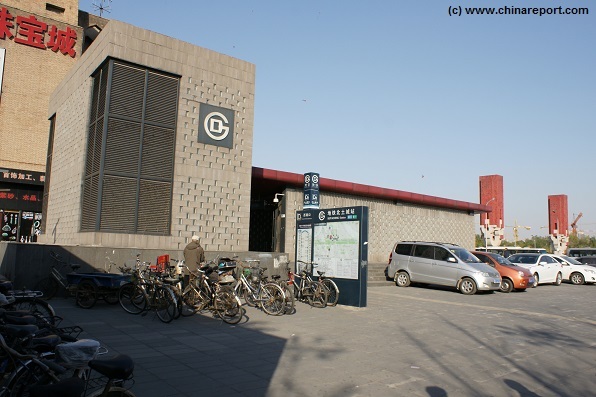 Although in relation to the old central city positioned at some distance away, thanks to the Olympic Games and recent city modernization drives, the Ethnic Minorities Cultural Park is easily reached via the subway / metro system and well connected to the cities highway and ring road system. 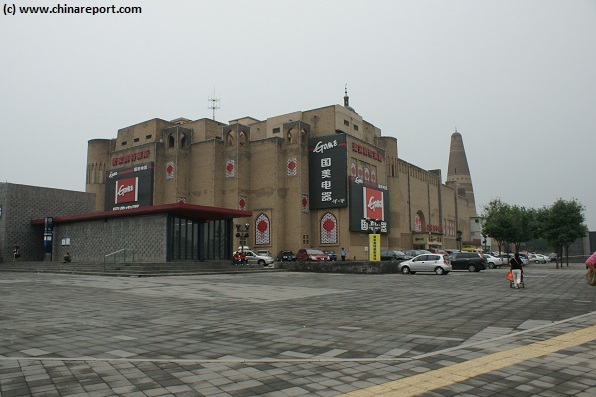 In addition to its easy access via the underground train system, as one of the modern architectural treasures of the Chinese Capital and a pride of the Nation, organised tourist bus tours to the Olympic Park destination are on offer at all travel agencies throughout the city, also allowing for easy transport to the neighboring Ethnic Minorities Cultural Park. Mind you: the Olympic Park is far more extensive than the Ethnic Cultural Park, so in case one had wanted to walk and see both, make sure to allow for plenty of time to get around and complete your plans. In order to see everything down to the detail, it might be a good idea to return another day. 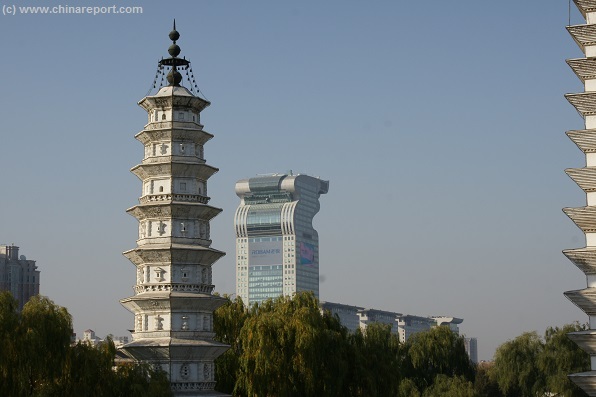 Copies of famous traditional ethnic architecture at Beijing Ethnic Culture Park contrast with the ultra-modern skyline and backdrop of the Beijing (2008) Olympic Park (December 2013). perform regularly, at least during the spring and summer high seasons. That said, eversince its establishment, the park has been a warmly welcomed addition to the at the time mostly historical Landmarks and Monuments of the National Capital. Fully in contrast with its surroundings, a walk around the Ethnic Culture Park combines surprisingly well with a visit to the neighboring ultra-modern Olympic Park where tall steel structures, gargantuan stadiums and brightly colored LED-lights and screens make for an awe inspiring skyline and backdrop. This goes especially for the northern half of the Park. 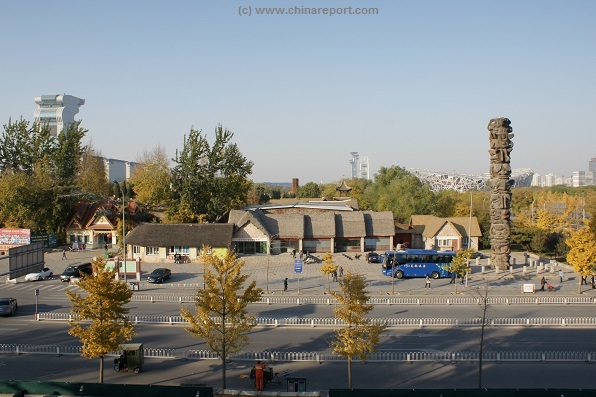 View of the southern gate of the northern section of Beijing Ethnic Minorities Culture Park with various structures of the gargantuan Olympic Park visible in the background. Ethnic Culture Park is dwarfed by its much larger neighbor. 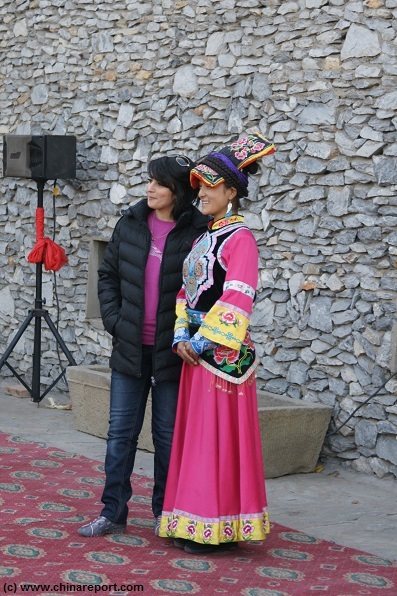 Ethnic Culture Park provides a welcome chance to have at least a glimpse of what one could go and see if one had the chance to return and see it all. In addition to the Ethnically oriented athmosphere, the Park offers a good and spacious getaway from any city busstle or worries that may be on your mind. 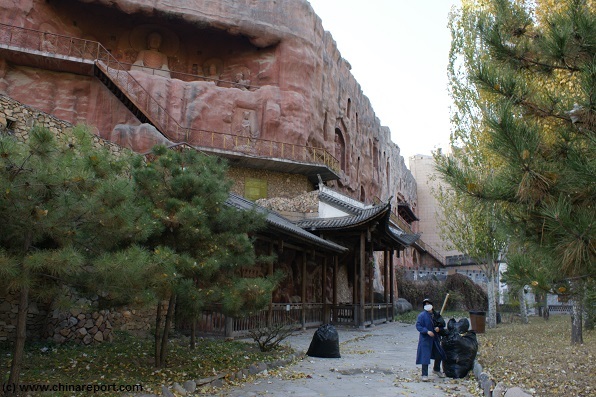 The construction of Beijing Ethnic Culture Park began as early as the year 1992. It was opened on June 18 of the year 1994 and has since been quite a popular attraction among Beijingers, and Foreign visitors alike. The Park or Museum Area has two separate area's, a northern and southern zone, divided in two roughly by the wide Aoti Middle Road which leads eastward to the Olympic Green and its main Stadium, the Olympic Sports Center Stadium. A spectacular southern style Chinese bridge connects both zones across the Aoti boulevard. Altogether the two zones encompass some 50 hectares in which there are some 40 to 44 Ethnic Villages. 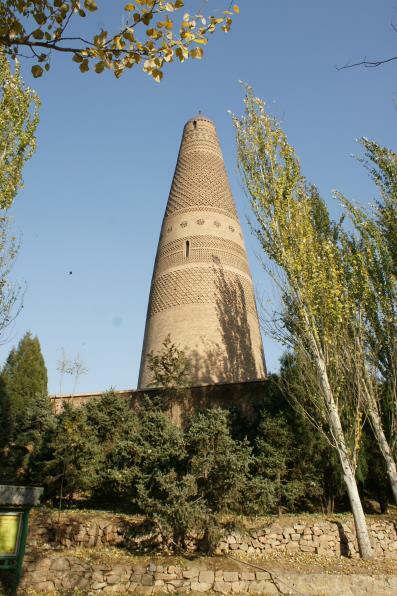 There supposedly are no less than 200 ”ethnic structures” built in the original size. Although the latter number seems a bit exaggerated, indeed there are plenty of surprises awaiting your discovery and visit. To name but a few, one can admire a copy of the Dali (Bai) famous Three Pagoda's in the southern half of the park, whereas the north part features some spectacular bridges. Various ethnic compound houses dot the landscape with the surrounding imitation hills that one might expect in a classical Chinese Garden. One can find examples of the most primitive cultures and their supposed original dwellings (now long extinct) as well as Tibetan Styles, Nomadic encampments, wooden pagoda's, imitation stilted houses, Yi, Naxi and Tujia villages, Bhurmese styled stupa's and other exotic suprises. The museums claim to have acquired over 100 thousand ethnic cultural items which it claims to preserve must be identified as utter nonsense, or propaganda if you will, as there is no evidence of this to be found on a regular day visit to the park. Nevertheless, the abundance of styles and sights to see in close proximity to each other, as well as the abundance of re-enacted ethnic cultural festivals, dances and daily practices make for good-hearted, colorful entertainment in which one can even participate with surprising frequency and ease. This makes the Ethnic Culture Park a good destination for a light hearted stroll about, or a destination to take the kids along to. Anyone, except those who expect genuine ethnic authenticity can count on a memorable experience. An out of season tourist posing with a real ethnic minority member dressed in a remade version of festive ethnic minority dress. Ethnic minority members have been employed in a large number during the Olympic Games and remain an important part of the daily staff. Costumes and Dance are however slightly sub-standard as one might expect this far removed from the Provinces. 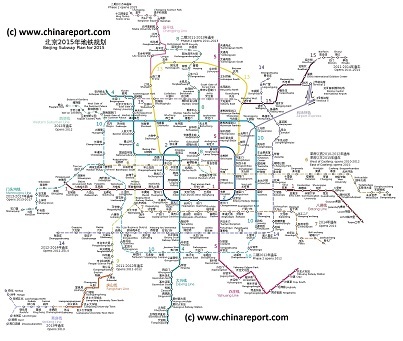 AsiaReport.com generated Google Map Overview of the location of Ethnic Culture Park just west of Olympic Park in the Haidian District of Beijing.